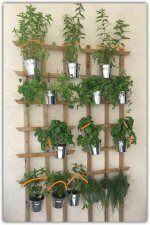 "How do I prune these to encourage vertical growth"? 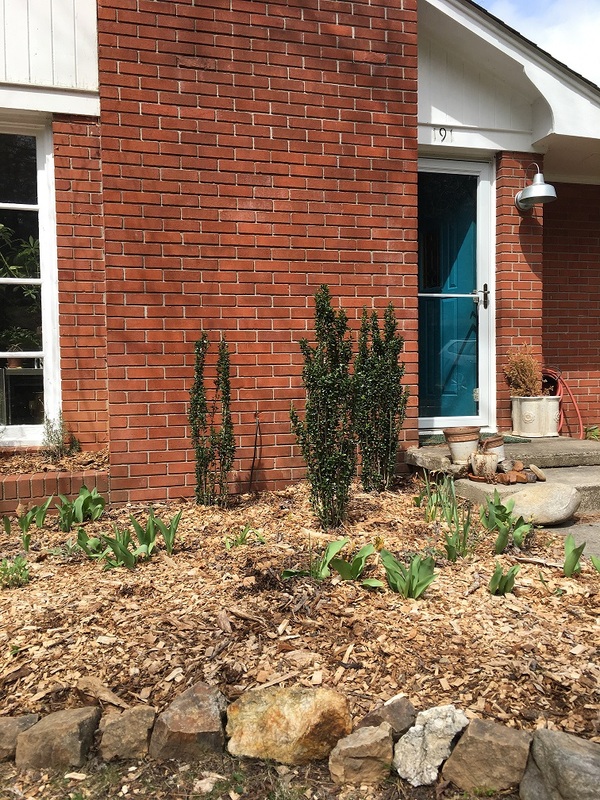 Vertical shrubs pruning - Hi Cara, from your question and the picture you sent I assume the original purpose for planting these plants was to cover the large brick wall at the front of the house. The vertical shrubs pruning challenge... and the solution! New leaves will begin to grow in the lower part of each plant. If you take a closer look you'll be able to see that in its lower part the plant has fewer leaves, compared to the upper part which is more dense with leaves (a natural and very common occurrence). New growth will develop at the cutting point, which I marked with a green arrow. It's more or less the height I would choose to prune. Pruning the two 'tall towers' at the back won't affect their appearance at the front, which is a win-win situation. Yes, I forgot, there is one more thing: leave the shrub on the left untouched. You can see that he's the black sheep of the family, so for now (he is shorter than the others so I wouldn't touch him at all for the moment). You can see in the picture that I have already put a warning sign on him. 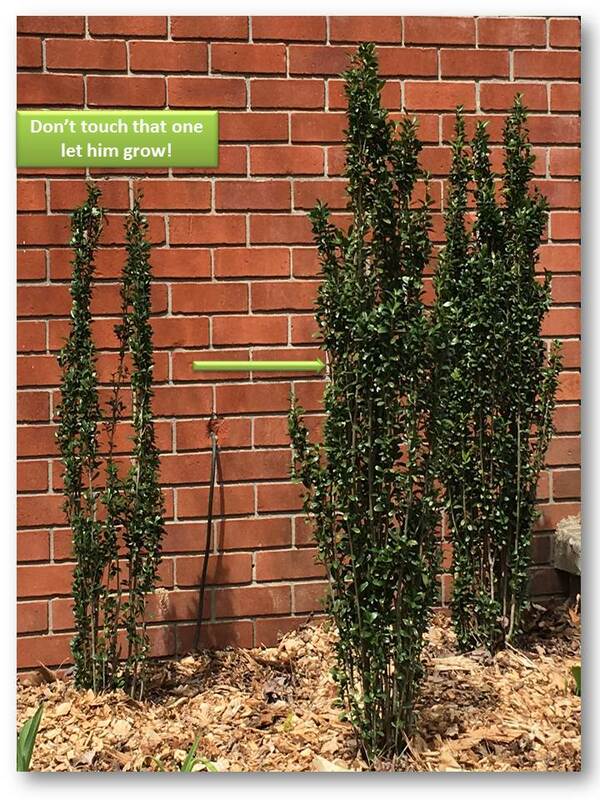 Keep in mind: Your vertical shrubs pruning challenge is not a 'must prune' situation at all. It's just nice to have. And it won't result in your shrubs shooting up to the sky within a week. This one has a very specific shrub anatomy so don't change anything in terms of the water regime, fertilizer etc... your plants look fabulous - strong, green, and rich with leave. Perfect!